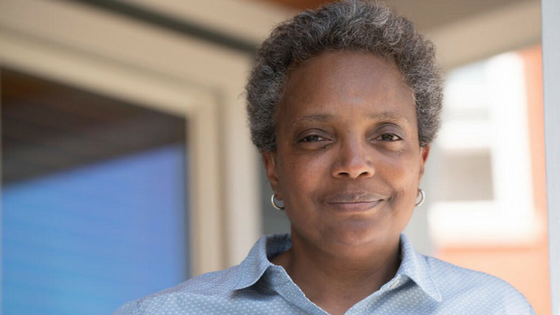 This week we were thrilled to catch up with Lori Lightfoot, candidate for Mayor of the Windy City – Chicago! 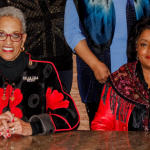 Lightfoot rose to prominence in 2015, one year after the killing of Laquan McDonald, a Black man who was shot 16 times by a white police officer. Lightfoot was tapped to co-chair the Chicago Police Accountability Task Force and was appointed the president of the Chicago Police Board. Lightfoot’s committee produced a report showing that systemic racism and a lack of accountability pervaded the Chicago Police Department. 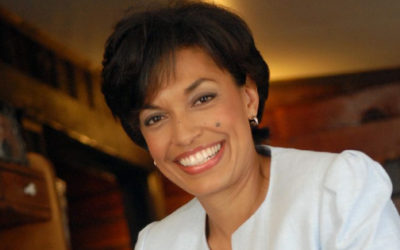 Lightfoot’s calls for accountability of the police led to conflict with Mayor Rahm Emanuel. She determined that she should be Chicago’s Mayor! 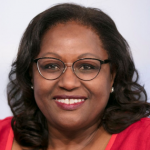 On May 7, 2018, Lightfoot announced her run. With the support of her wife, child, family, friends and now more and more Chicagoans, Lori Lightfoot is ready for battle! 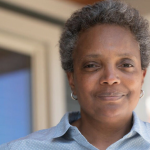 If elected, Lightfoot will be the first African American woman and the first openly gay person to hold the position of Chicago Mayor. Angela: Hi Lori. We are excited to hear about your run for Mayor of Chicago. Will you tell us about your background and what led to your run? 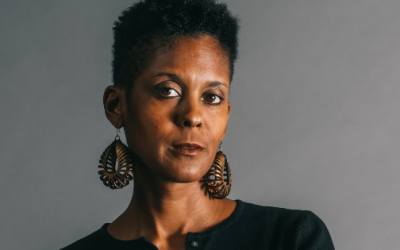 Lori: I grew up as one of four children in a small, segregated steel town in Ohio. My parents came to Ohio from the south seeking a better life. My dad was from Arkansas, where he worked as a sharecropper. My mother was from Alabama. They both left the south as teenagers. While conditions were better up north, my parents still struggled. The good news was that they found each other in Ohio and got married; the bad news was that as unskilled laborers, even together, they did not make a lot of money. They had kids. Tragedy struck and made things harder when my father became really ill. He caught pneumonia and spinal meningitis and was literally in a coma for close to a year. My dad lost his hearing as a result of the illnesses. So, he was a Black man in the 1950s, supporting a family with small children, with a profound disability. No jobs were readily available for someone like him. Our family struggled mightily. Eventually, my dad was able to find a low paying job as a janitor. My mother also had low paying jobs as a house cleaner and a healthcare assistant in a mental institution. We lived from paycheck to paycheck. So, I know what it’s like to worry about how you are going to pay the light bill or put gas in your car. Angela: How did you break through that history and get where you are now? Lori: I was very motivated to make a good living to help myself and my family! My success today is due to my parents. They always emphasized the importance of education, which they saw as the way for Black people to get a leg up in the world. I worked hard in school, and I did well. This was challenging in some ways because I was the only Black kid in my elementary school. I experienced both segregation and racism as a result of that. This made me even more reliant on education as my path to success. I worked my way through the honors program at the University of Michigan. After college, I went to law school at the University of Chicago. Angela: You made a good living practicing law. You were a litigation partner at Mayer Brown, LLP. That’s no easy feat for anyone, and you are one of the few Black women who made it. Lori: Yes, and I feel fortunate to have had that success. But I know that I am one of the lucky ones. Prosperity in Chicago has not spread to many people who grew up the way I did. I am running for Mayor of Chicago because I want to change that. I don’t want kids who look like me or who come from low-income families like mine, to have to be “lucky” to make it out of poverty. Opportunity should be available to all of us. It should not be based on what you look like and who you know. Angela: It’s a sad truth that many people don’t have equal access to economic opportunity. Economic and other forms of power matter, and it is one of the things that BlackHer is about. You’ve had power as a lawyer, and would have enormous power as mayor. Can you talk about how more Black women can claim their power? Lori: Women are not necessarily conditioned to take on and embrace power. I tell people is, “Don’t be shy. Raise your hand. Take on an opportunity.” Men are acculturated to do this in almost every circumstance. We, as women, have to train ourselves to do the same. It’s interesting. I have always felt comfortable and excited about taking on these “powerful” roles because they have given me the opportunity to do the right thing. 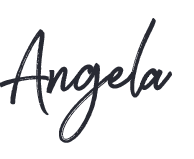 Angela: More of us should think about seeking power from that perspective! You worked as a prosecutor, another position of incredible power. Why did you decide to take that job? Lori: I became a prosecutor because I understood first-hand how crime and violence can destroy our communities and our families, and I wanted to try to do something about it. My grandmother’s first husband was a man named Tom Lowery; he was a Black man, and he was killed by a Klansman in Alabama. My grandmother knew who Tom’s killer was, and she also knew that he would never be brought to justice because of racism in our criminal justice system. Growing up, I was astounded by this. Fast forward to more than sixty years after Tom was killed, there I was. I was a prosecutor, which allowed me to decide what crimes got prosecuted and to make sure that those with less, like my family, were not ignored by the criminal justice system. Lori: Sadly, Chicago is currently more violent than Los Angeles and New York City combined. Crime is a devastating problem that is affecting people all over the city. The current Mayor rarely talks about the violence problem. It’s almost like he believes that if he talks about it he will own it. This is a strange strategy since we know that the violence is far worse with him in office than it was under his predecessor, Mayor Daley. One reason why crime is so bad here is that there are far too many illegal, unregistered guns on the street. Chicago has fairly rigorous gun registration laws, but it is right next to two states, Indiana and Wisconsin, that have less stringent laws. In Indiana and Wisconsin, you can purchase guns without a background check. Many people purchase guns in those states and bring them to Chicago. There are ways to deal with this issue. First, Chicago needs to work with U.S. Attorneys’ offices throughout the U.S. to stop the flow of guns into the city through prosecution in many states, not just Illinois. Second, violence is a symptom of communities in distress. There is a lack of hope in many economically distressed neighborhoods. We need a comprehensive plan for economic development for these communities, not just those in Chicago’s wealthy neighborhoods. This plan has to include training for decent paying jobs, and better wrap-around services to support people as they push themselves forward. As Mayor, I will invest in Chicago’s low-income neighborhoods, which is something the current administration does not do. Angela: Police brutality also seems rampant in Chicago. How do you solve that problem in a city with a high crime rate? Lori: One of the ways to solve the problem of police brutality is by building relationships between communities and their police, really on a person by person, block by block basis. I believe that if you bring people together, everybody wins. Police and the communities they serve must build relationships of trust day by day, through interaction and community engagement. Police take an oath to serve and protect. They have to believe that their oath, and providing respectful and constitutional engagement with citizens, is as important as the gun and badge. Communities have to believe that the police are there to protect them and that they are part of their communities as well. Making sure communities are involved in policing decisions is a critical part of building trust. I’ve been advocating for true civilian oversight of the police to make sure Chicagoans get a seat at the table and improve public safety in our neighborhoods. 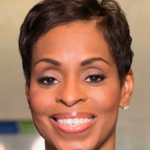 Angela: What are some of the other big issues that you plan to address as Mayor? Lori: I will work to create more economic opportunity in Chicago. A lot of Black and Brown families are leaving Chicago, either because they can no longer afford it, or because they don’t feel safe in their communities. We are not going to stop that through trickle-down economics—investing in wealthy neighborhoods and companies –and waiting for the money to make its way to everybody else. As I said, we need plans for economic development in our hardest hit communities. We also need to improve the quality of the city’s schools and build more affordable housing so that the middle class is not driven out of the city. 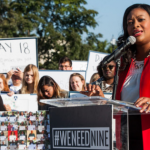 Angela: What will winning your race for Mayor on February 26, 2019, mean to Black women and to the US? 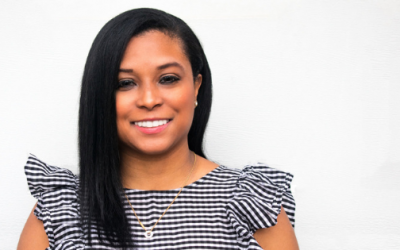 Lori: Any time a woman of color is able to break through and do something previously unheard of, it gives incredible inspiration to the next generation. They see that the sky is the limit! I hope the message resonates with a lot of people – old and young, black, white, brown and other, gay and straight –that they can reach for and live their dreams. I’ve met a lot of little Black girls whose eyes were opened by my running for Mayor, and I love that. Some of them have shown up with homemade signs in support of my candidacy. Angela: It’s time for our miracle question. It is this time next year, in 2019. A miracle has occurred, and things have substantially changed for the better for Black Women. What happened? Lori: A miracle won’t happen. What can and is happening is that we can claim a rightful place at the table. We can point out that we are not being treated fairly in pay and in access to resources, and demand something different! We will continue to struggle for equity. Every time we make progress we open the door to let others live their dreams.